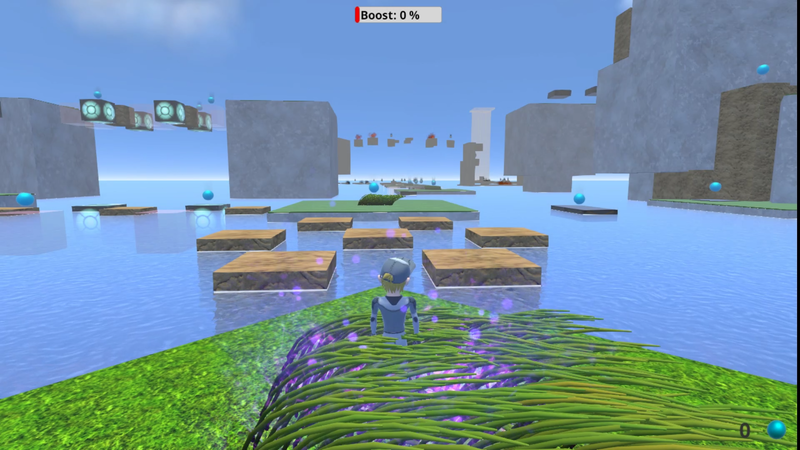 Boost Jump is a short 3D platformer prototype game that I developed alone over about 6 months. 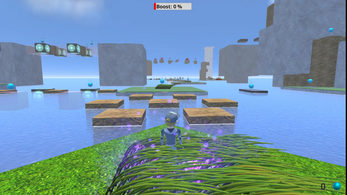 The basic movement mechanics are heavily inspired by the 3D Mario games (Super Mario 64, Super Mario Sunshine, etc.). The name Boost Jump comes from the ability to store up energy while running, colliding, etc., and use that energy to make other jumps stronger or perform a Boost Jump in the air. PS4 controllers are now properly supported. Ensure that you only have the controller you intend to play with plugged in since any controller plugged in will be read from and multiple controllers of different types can cause strange behavior. Update 2019-04-13: I've added a big simple practice area right behind the place where you start. I've also added a toggle in the options menu to show the timer on the HUD.